In addition to wonderful hot loaves of bread baked every day, Great Harvest locations stock a variety of fresh ground mixes that are blended and packaged on site. Our pancake mix is one of the best of these products, consisting of our freshly milled whole wheat flour and some rolled oats for added texture. This recipe utilizes the pancake mix to create a wonderful, comforting one pan meal. With its home-filling aromas of cinnamon, brown sugar, nutmeg, and apples this easy to make dish will become not just a breakfast favorite, but a dinner time treat the whole family will crave. It’s sweet and sticky, but with the goodness of whole grains. It also eliminates the extra steps and mess of cooking individual pancakes for a crowd. If you really feel like spoiling yourself, top it with vanilla ice cream. In medium bowl, gently mix together Great Harvest pancake mix, the 1 ½ cups of water, vanilla, egg, melted butter, cinnamon, and nutmeg until just blended and small lumps still appear. The mixture needs to sit for at least five minutes to thicken slightly while you prep your other ingredients. Add the remaining four tablespoons butter, the honey, the granulated sugar, the ½ cup brown sugar, and the 1 Tbs. of water to the skillet. Stir to coat the bottom of the pan with a wooden spoon or a heat-proof rubber spatula. Allow too cook, stirring constantly 8-10 minutes until moisture has evaporated and mixture is a deep caramel color. This mixture will be extremely hot so caution should be taken not to get burned. Immediately add apples carefully and stir to coat. Allow to cook for an additional minute until the apples are slightly softened. Pour in the prepared batter and spread evenly over the apples. Sprinkle the top with the remaining ¼ cup brown sugar and the nuts. 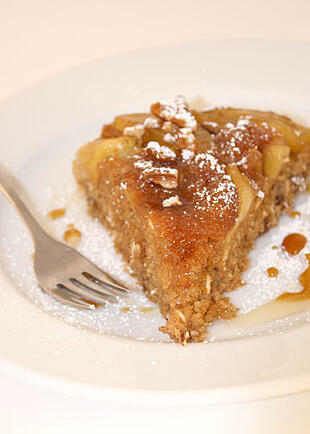 Return the pan to the oven and bake for approximately 20-25 minutes, until cake tester or toothpick comes out clean. The baking time will vary depending on your oven and pan size. Allow to cool for a few minutes. Place a round plate underneath and carefully invert the pancake. Sprinkle with powdered sugar, cut into wedges and serve. *If you do not have an oven-safe skillet, it is possible to transfer the caramel mixture to a baking dish and pour the pancake batter over but the baking time will likely increase significantly due to heat loss. 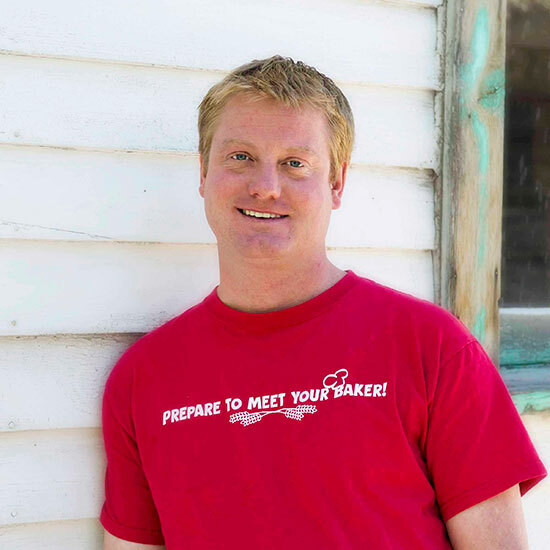 I'm Scott Molyneaux and I joined Great Harvest in September 2011 as the Corporate Chef. I am a graduate of the Culinary Institute of America in New York and have worked in various segments of the food industry, including restaurants, large and small scale catering operations, private dining, retail, and lodges over the last 20+ years. 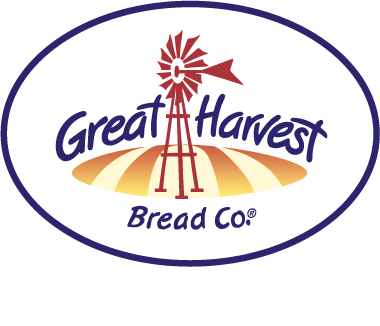 At Great Harvest my efforts are focused on research and development of new products, wheat testing and purchasing, and teaching new franchisees how to be phenomenal bakers. I love living in Montana which gives me ample opportunity to pursue my interests of snowboarding, hiking with my dog, camping, riding my ATV in the mountains, playing my guitar, and of course cooking.